Langtang Valley Trek is the nearest Himalayan Region from Kathmandu valley, few hours drive from Kathmandu will take you to the beautiful Langtang region. Despite being very close to Kathmandu, the Langtang Region is as wild as any Tibetan highlands with an idyllic rural landscape. 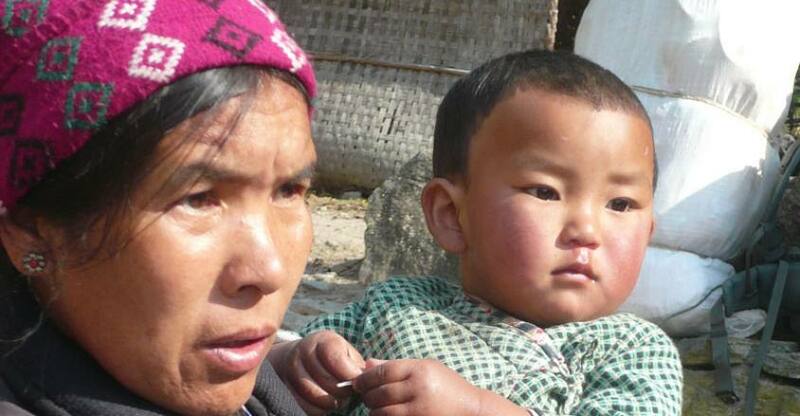 The people living in the highlands of the Langtang region are certainly Nepalese but being the descendant of the Tibetan origin, they look like the Tibetans. Hence, the Langtang region is one of the most popular trekking regions for those wishing a short trek from Kathmandu into the Himalayas influenced by Tibetan lifestyle. Moreover, accompanying with the varieties of rhododendron, bamboo forests, majestic waterfalls and the snow-capped Himalayas make the trek one of the most diverse treks nearby Kathmandu. 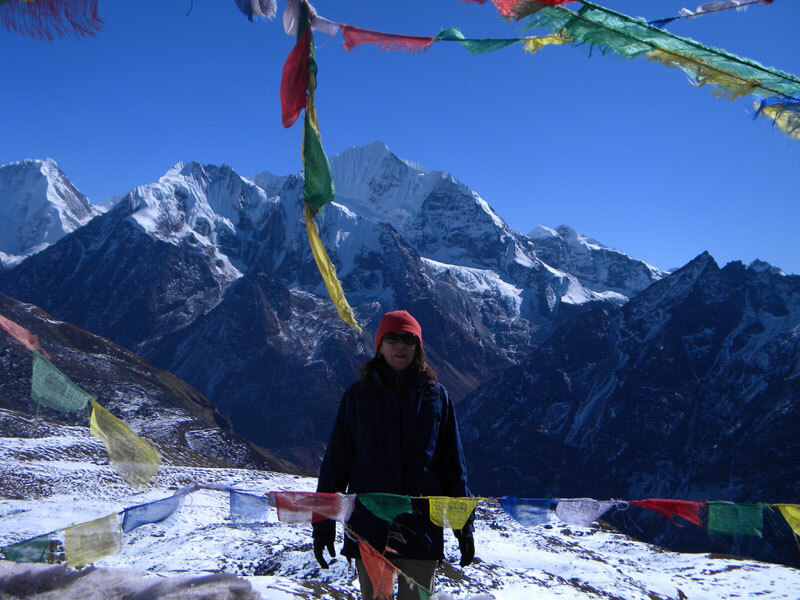 The 10 Days Langtang Valley Trek starts with a Bus or Jeep ride from Kathmandu to Syabrubesi. We begin the walk from Syabrubesi. We head upward to Lama Hotel and Langtang village until we arrive at the famous Kanyanjing Gompa. After exploring the region, we trek the same route to Syabrubesi from where we drive back to Kathmandu. 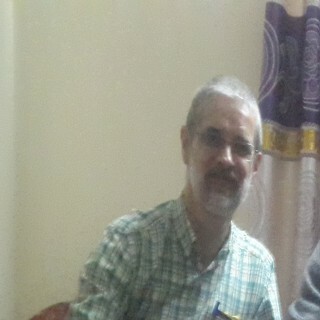 Day 02: Kathmandu Sightseeing: Kathmandu valley sightseeing and trek preparation. Day 04: Syabru Bensi - Lama Hotel (2390m) in 6 hours. Day 05: Syabru - Lama Hotel (2390m) in 5 hours. Day 06: Lama Hotel - Langtang (3520m) in 5 hours. Day 07: Langtang - Kyanging Gompa (3850m) in 3 hours. Day 09: Kyanging Gompa - Ghora Tabela (3000m) in 6 hours. Day 10: Ghora Tabela to Syabru Bensi (1450m) in 6 hours. Day 11: Syabru Bensi to Kathmandu. Arrival in Kathmandu Upon your arrival at the Tribhuwan intl. airport then transfer to Hotel and overnight at Hotel. Today, the morning we will ready after your breakfast to head on for our relaxing guided day trip to world heritage sites in Kathmandu valley and visit the highlights of Kathmandu and the surrounding areas. We take you to visit the pilgrimage sites of Hindus temple Pashupatinath, one of the most important shrine of Shiva temples on the subcontinent which is a place of thousands of devotees, Saddhus (holy men/Baba), and can be seen the cremating body most of the times in the holy riverbank of Bagmati. Hundreds of monkeys are giggling with you and take a time to explore the surrounding area and visit Bouddhanath stupa another pilgrimage center which is the most popular and important place for Buddhist. You can explore with rounding prayer wheel and flattering colorful flag with melodious chanting noise. After your lunch at Buddha visit Swoyambhunath stupa also known as monkey temple covering a wide range of area with the highest point of Kathmandu valley and enjoy the 360 degrees of valley view. After exploring the surrounding areas visit Kathmandu Durbar Square which is old royal palace of Kathmandu and can be seen lot of temple, architectures, and Kumari (living goddess) and walk in a freak street and late afternoon back to hotel and evening briefing about your trip, what is your responsibility, what to do and does not in the trek? Introduce our fellow trekking staff and chances to ask the remaining question and simply relax at the hotel. Leave Kathmandu early for the seven-hour journey to Syabru Besi The road climbs high over ridges as it leaves the Kathmandu Valley, and provides impressive views of the Annapurna Himalayas in the west, to Manaslu, Ganesh Himal and the peaks of the Langtang region ahead. We drive through the bustling town of Trisuli before climbing towards Dunche and the Langtang National Park. After the town of Dunche, it is another hour downhill to Syabru Besi Overnight at tea house lodge. This is a fine day of trekking, which traverses rhododendron forest towards a ridge (2300m). Following a high trail, we pass through terraces and bamboo massifs. We cross Syarpa Gaon to continue through a fine forest, alive with birds and the occasional troupe of monkeys. After crossing the Langtang Khola, we start the ascent of the valley and soon reach the shepherds huts that are the Lama Hotel Overnight at tea house lodge. Following a high trail, we pass through terraces and bamboo massifs. We cross Syarpagaon to continue through a fine forest, alive with birds and the occasional troupe of monkeys. After crossing the Langtang Khola, we start the ascent of the valley and soon reach the shepherds huts that are the Lama Hotel Overnight at tea house lodge. 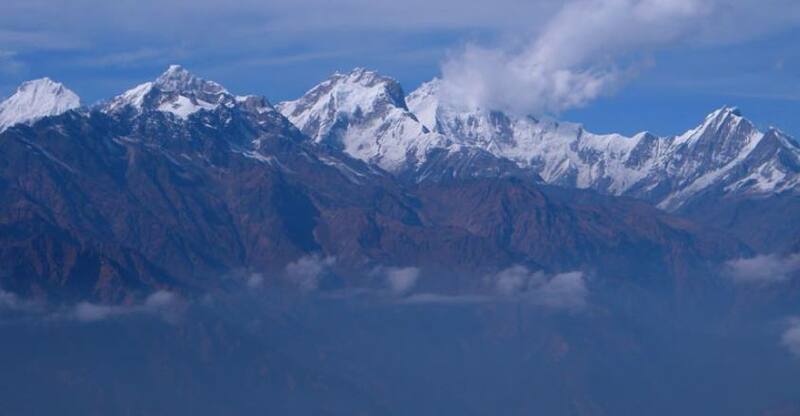 We now have a spectacular view of the Langtang Lirung (7246m). After a steep climb through the Langtang gorge, the ascent eases and the valley widens out into an area of yak meadows and rhododendrons. Further up, we reach Langtang, populated by Tibetans. Overnight at tea house lodge. An easy and pleasant walk through yak meadows. The village is spectacularly situated in a glacial amphitheater dominated by high peaks. An excellent base for shorter walks towards the Langtang Lirung glacier, eastwards to Lagshisa glacier or a tougher ascent of the northern flank of the valley towards Yala Peak. Overnight at tea house lodge. Early morning we visit Tserko Ri (5000m) for mountain sunrise views or we do a day hike with pack lunch. Overnight at tea house lodge. It is easy to go down, we retrace our steps downhill and reach the army post of Ghora Tabela. Overnight at tea house lodge. The trail leaves the alpine country and returns to the deep forest. Overnight at tea house lodge. My friend and I did the Langtang-Gosaikunda-Helambu trek with two porters and a guide from Man Kumar's team. It was my first visit to Nepal. We had problems with traveller's diarrea and acute mountain sickness but our guide was very helpful and reassuring, knowing how to treat well and encouraging without taking risks. The porters were always ready to give a hand our to take our day-pack when the efforts above 3000m became more difficult (for people near 60). Our stay in the lodges was perfectly organised. We always took time to enjoy nature and mountains, never been in a rush. There was a warm feeling in the group and mutual understanding. I would certainly recommend a trip with Halesi trek. It gave me a real Nepali experience and an unforgettable journey.